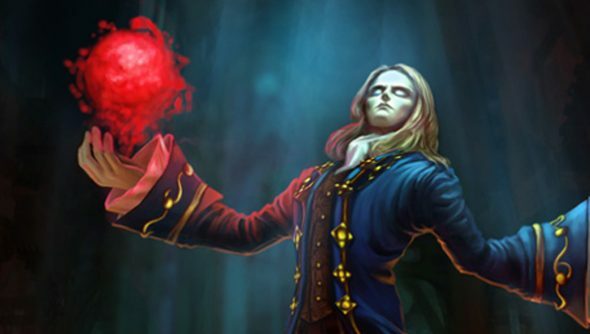 League of Legends’ pre Season 3 updates will see a “slew” of new items added to its store, we heard yesterday. Riot Technical Designer Xypherous’ remit has been to fix common issues with items, but more intriguingly to increase specialisation and “player self-expression” – and ultimately to prompt new patterns of play to develop in the game. See how he’s going about it below. Riot want to shower the game with new items – enough to enable you to create a champion with a build that feels uniquely your own, and enough that you can always do something to better specialise for the game you’re in. Each role will have alternate primary builds, meaning team members will be able to complement each others’ abilities on a micro level. The examples Xypherous give see a carry pick up an item to improve AoE damage, or a primary AP caster taking on additional CC capabilities. Late-game variation is set to improve, thanks to new mid-game items designed to give you more upgrade choices down the line. “If you build Warden’s Mail in the mid game,” says Xypherous, “you shouldn’t feel compelled to buy Randuin’s Omen every game”. Riot have also talkedspecifics on changes coming to the Brutalizer and the Black Cleaver in the name of making their Armor Penetration abilities “cost-effective” in both the late and early game. The Brutalizer will have its Flat Armor Penetration and % Armor Penetration values lowered, but also have those stats’ usefulness in combination increased via a complicated maths switcheroo. What’s more, the Brutalizer now “builds into more than one thing”. Exactly what things it will build into areunder wraps for now. The Black Cleaver, meanwhile,now triggers off all physical damage, meaning that spells and abilities can trigger the passive. Check the post for more details on how that will affect AD casters. Finally, items throughout the store have had their stats tweaked to better reflect their cost in gold, or vice versa. Early game items that provide attack damage, attack speed or resistance upgrades have all been “reevalulated in terms of strength”. Good ideas? Bad ideas? What do you think? Either way, they’re headed for the game.